We used to live in the “M” street area when we were newlyweds. We gave the restaurants up and down Greenville Ave a good amount of business. One joint we discovered is Ali Baba which fancies itself as Middle Eastern fare. Candidly I didn’t venture too far on their menu outside of lamb and chicken. 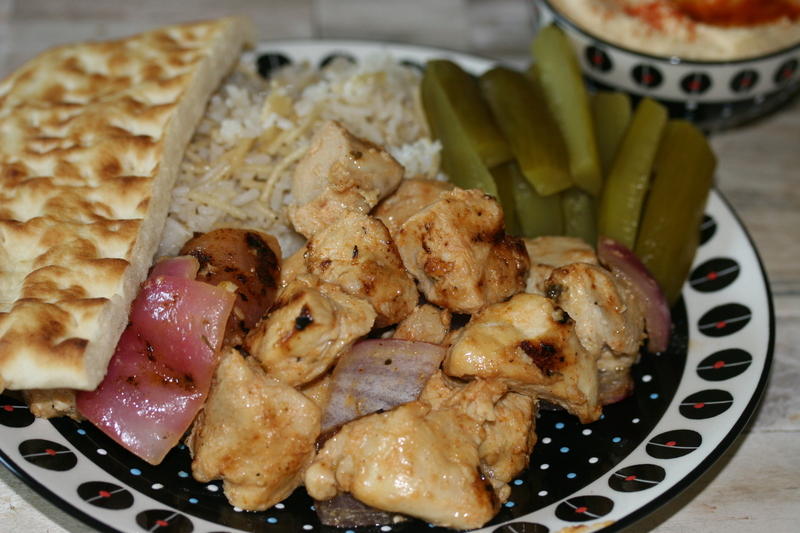 We always split the Shish Tawook (Taouk) and a bowl of hummus. I love this stuff so much. It’s lemony, garlicky, savory moist chicken kabob. The way I eat it is like a Middle Eastern fajita. 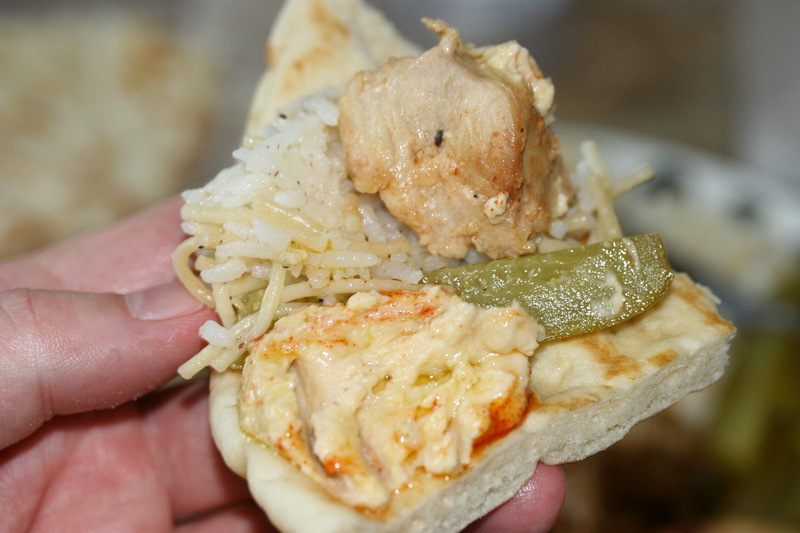 I spread the hummus on my Naan bread and then top with rice then Mediterranean pickles and chicken. It’s a great conversation meal as you talk and tear off your naan and build each bite according to your tastes and ratios. Sometimes more hummus, or just chicken and rice or hummus and chicken. The recipes I used for these were just sensational. My hummus, chicken and rice were absolutely perfect. Dare I say as good as the real deal? I do. Think about Greek food’s cousin if you haven’t experienced Middle Eastern or specifically Lebanese food. There are three recipes here so I will take each of them separately but if you make this one night you will soak your chickpeas and marinate your chicken over night (12hrs min). The day of cooking it will take about an hour for the chickpeas to cook so while that is cooking you can do all your prep. Then I suggest making the hummus and then knock out the rice and while it cooks you can grill your chicken. Those will come together at once. When the chickpeas are done. Strain the water and rinse well. Add to food processor with a cup of warm water. Let it grind smooth for about 3 minutes. Add garlic and half the tahini, salt pepper, paprika, and half of lemon juice. Grind for another 3 minutes. 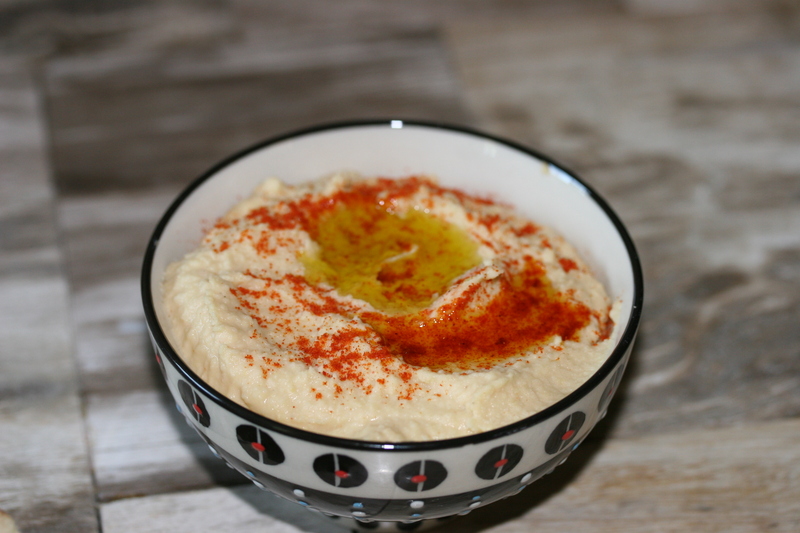 Taste it and add lemon juice, olive oil and tahini a little at a time. Tasting as you go. I refrigerated it to serve cold/cool. 2. 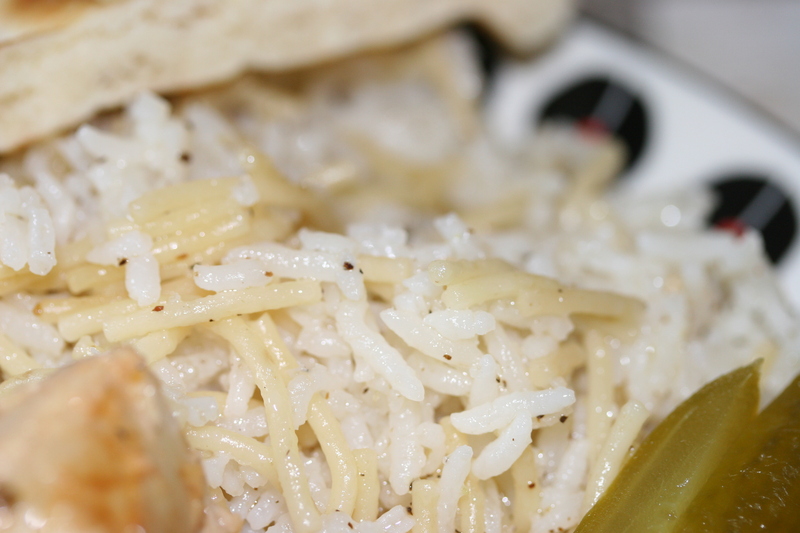 Rice Pilaf – Measure your white rice and put into a colander and run water over it until it runs clear. Set aside. Now take a good sized pot and melt your butter. (clarified/ghee if possible). Break your pasta into one inch pieces and add to the butter. Put three cups of water in a microwave safe bowl and heat to a boil while your stirring your pasta. You want to put a nice brown color on your pasta. That said be careful not to burn it. I stopped a little short so mine could have gone longer but the taste wasn’t compromised. Once pasta is browned add the white rice and stir for 2 minutes. Add the boiling water and stir once. The whole pot should be boiling. Cover with a lid and turn it on low. Don’t touch it for 15 minutes. Precisely at 15 minutes remove from the burner and fluff with a fork. Perfection!!! 3. 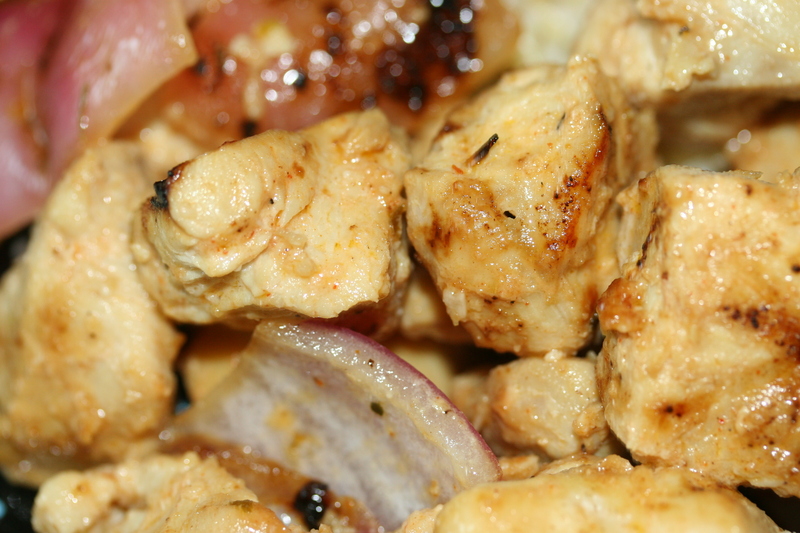 Chicken – While your rice is simmering. 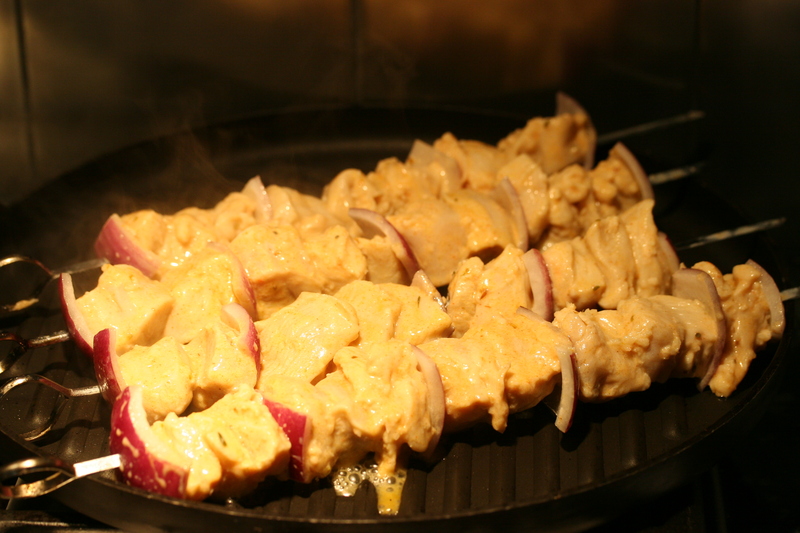 Grill your chicken on a kabob. You can add other veggies if you want. I used a red onion I had on hand. Get some nice grill marks. Add the chicken to a bowl and cover with plastic wrap to steam and rest. Serve all of this together with warm Naan bread. So dang delicious.